I personally have never thought of Shyamalama as a great director who knows what he’s doing. No one can produce that much garbage and be called great. In my opinion, I only see him as lucky. He got ONE good film out of The Sixth Sense and the rest are mediocre at best. The only reason Split is any good is because of the strong presence of McAvoy. I do not give Shyamalan any credit for his phenomenal acting. I do like Unbreakable, but put any other actors in the leading roles, I would not like it as much. To all the people complaining Chris is down and grumpy, Chris has had a very hard time balancing film school while also trying to have a youtube channel with fans while also trying to see as movies as he can if he has time, and everyone constantly complaining about it isn’t gonna change anything, if you don’t like Chris now, fine unsubscribe do whatever, but he’s not gonna go back to the old ways so just stop complaining. Keep the letter grades please!! Should we leave early and just think about how we wanted it to end? Is this the first time that Chris has not given a movie a grade?? Very surprised but overall great review I’ll definitely be checking out the movie myself. 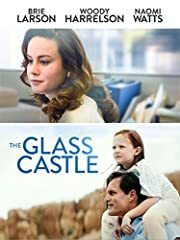 Haven’t seen the movie yet but I have a theory that the woman who is trying to “help” the three main characters is trying to destroy their belief in their powers and make them normal. Not because she thinks it’s not real but because she believes people with super powers have no place in the world. Just a theory I came up with during one of the trailers when she said this; “We are not meant to have this kind of power” (or something along that line). Maybe you should go back to stars instead of letter grades. I watched today and I didn’t find anything that I hated about the movie. I just think the last 5 minutes were not needed. I’m not a fan of grades either, honestly. They’re almost always arbitrary and don’t really add much to the review. Chris!! Are you going to review DragonBall Super:Broly ?!?! Chris is gonna stop soon. Each video he seems less and less interested. But you gotta do what makes you happy. Chris is already established as the Roger Ebert of the internet age, if he can reproduce that as a film maker, more power to him. Did we ever really forgive him for “The Happening” ? Dude, you seem completely uninterested and monotone lately. Hope you find and do something your more passionate about. Reviewing movies ain’t it anymore. I have heard the same thing for three reviews now. The movie is rather good, till the 3rd act where it falls apart. I think I will wait till I get it at home for cheap. We need grades! You mustn’t do away with grade! You mustn’t! Not allowed. You’re like a robot mate. Are you ok? Its called a Slurry cam. Camera attached to actor. A technic that has been in existence since Recrium of a dream. 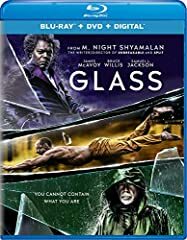 I had to give this review a thumbs down because I still don’t know if I should see “Glass” based on this review. That’s kind of important and when you mix in the decision to pass on a “Worse of 2018” and possibly the grading system, I believe Stuckmann is losing interest in this gig. His energy level is WAY down and yes, he is very monotone in his presentation. I don’t know if I buy the suggestion that he’s playing it safe because he wants to expand into directing films, but it’s certainly on the table. I think since Bruce Willis (supposedly) is so difficult to work with, directors and the crew and EVERYBODY might have to work around it.. hence why he isn’t a bigger piece in this film.. any other people think this?? Been a fan for years Chris. I appreciate your honest reviews, I actually prefer your reviews over many other larger channels, but what the heck is going on my dude? You sound so bored, it’s making me bored. Like I’m so bored I don’t want to see the movie or finish your video..
All the comments here make me sad. While I also do think Chris shouldn‘t make more reviews than he want to this is just a calm, well-worded review. Why this every youtuber has to be hyperactive??? I had this review in my watch later playlist, ready to be consumed just after the movie. I REALLY loved the film, I felt like the last 20 minutes were too long and unnecessary but I DID like the choice for the story. I just wish it ended at THAT point and the last 15 minutes or so were condensed in a 2 minute post-credit scene. Looking forward to your spoiler review! Can’t wait to watch this one more time myself. I saw the movie today and I liked it a lot. I think is fantastic and for what it was it put a nice end to a trilogy that came out of nowhere. 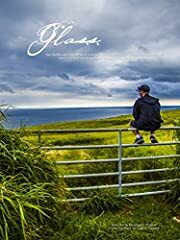 I usually put more interest in the entertainment value of a film but this time the technical aspects like direction and cinematography, even the use of color, really captivate my attention. Shyamalan proved once again he is an outstanding director. He’s writing is the thing that sometimes betray his projects. I missed the ‘Unbreakable’ score but I must say that I loved the music at the end and credits. I can agree that the end felt somewhat anti-climatic and that the fate of some of the characters was unexpected. But for me that anti-climatic feeling passed at the very end. I felt the same like with ‘The Last Jedi’. I didn’t got what I wanted in terms of the story but I understand the direction the story took and I appreciate it for what it is. Sometimes the best thing is to not get what we want. 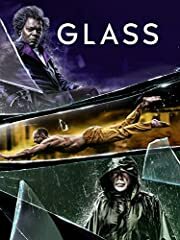 I consider ‘Glass’ a worthy sequel of ‘Unbreakable’. This movie made feel I variety of emotions from melancholy to extreme tension and that is rare for me. one of the first times i’ve heard you let your fanboyism get in the way of a review – score the damn thing. take off your fanboy hat. if what i’m hearing is true it deserves a D for all the missed potential.